According to numerous reports said to be out of Apple headquarters, the company's Chief Design Officer Jony Ive hasn't contributing much to Apple's consumer goods design as of late, and has been more interested in architecture and similar projects for the last few years. Based on comments that he had heard over time, long-time Apple journalist Jason Snell and John Gruber speculated that Jony Ive is focused on Apple's "Spaceship" campus and store design with retail head Angela Ahrendts. "I've heard that he has lately been checked out or not as directly involved with product design and that he's been largely focused on architecture," said Gruber on his "The Talk Show" podcast. "And that maybe the other top-level executive who's been working the most with Ive is Angela Ahrendts." The pair discussed the possibility that Ive "has assumed a Jobs-like role" within Apple and can mandate product direction that may not be in the company's best interest, like a gold Apple watch or an Apple-branded car. Gruber and Snell postulate that Apple's car project, recently rumored to be dramatically scaled back, was originally started at Ive's bidding, and the rumored collapse is the herald of Ive's future departure from the company. 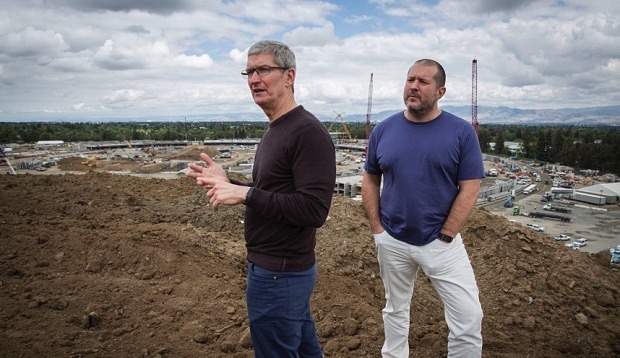 Potentially reinforcing that belief, the pair discuss rumors floating about that the recent coffee-table "Designed by Apple in California" tome was "decreed" by Ive, is his swan-song, and acts as a portfolio of the designer's work. Gruber thinks that Ive "may only be spiritual leadership at this point." The recently released "Designed by Apple in California" book was developed over eight years, and documents materials and techniques used in assembly and construction of all the products in 400 pictures. "The idea of genuinely trying to make something great for humanity was Steve's motivation from the beginning, and it remains both our ideal and our goal as Apple looks to the future," said Jony Ive, Apple's chief design officer. "This archive is intended to be a gentle gathering of many of the products the team has designed over the years. We hope it brings some understanding to how and why they exist, while serving as a resource for students of all design disciplines." Update: Gruber has since written a post to his website Daring Fireball to explain he did not hear Ive was on his way out, but that Ive had checked out of day-to-day design work to concentrate on architecture projects like Campus 2 and Apple retail. That said, the blogger does make note of rumors regarding Ive's eventual departure.